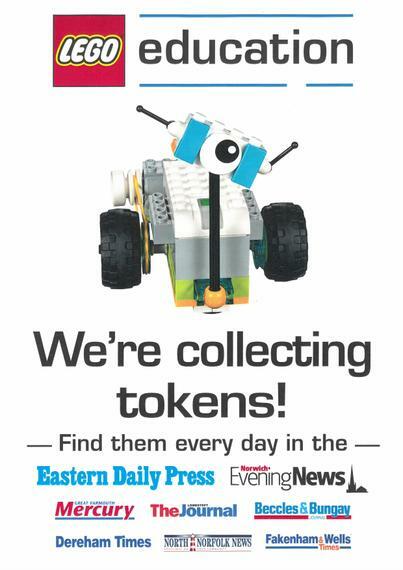 We are collecting the Lego tokens which will feature in the all of the Archant Newspapers, (EDP and North Norfolk News) for our school. This half term there will be a special half term BONANZA whereby, EVERY day you can get a massive 11 tokens. The usual one, PLUS the bonanza of 10.